"Lisa and Mary provided a great service in responding to our queries and were a pleasure to deal with. My family and I enjoyed our stay at the amazing Sugar Cane Ridge 23 celebrating my husband's 70th birthday. We all had an fabulous time and would love to go back to Barbados and use Isle Blue once again." "We had a great time the house was great! The Dutch side fared much better than the French side but overall good! We will def reach out to you for our next trip! Thx, Mark"
"Isle Blue is efficient, thorough and timely with our inquiries. Delightful to work with the team and would definitely work with them again!" "Thank you so much, Lisa!!! You've made it feel easy! So happy I found your company online." "Isle Blue were great to work with (our third time booking through them) and we would absolutely use them again. The staff are friendly, diligent and always helpful!" "Isle Blue made our life too easy when choosing a place to stay in Turks & Caicos. Villa Positano, I hated to say goodbye! To say our time here was epic is an understatement! Second time here on the island and I know there will be many more to come. Word to the wise- spend a few days here at Sapodilla Bay, right in your own backyard. Time slows down and you learn to appreciate this life. Everything else can wait. No question that we will be working with Isle Blue again in the future - with their properties on Providenciales as well as their other locations in the Caribbean. They not only made the rental process seamless, but they were also incredibly kind and gave us contacts to a concierge service and boat tour companies on the island. Can not get any easier than that. It’s nice to know people who know people ? The biggest thanks to Isle Blue for making our experience unforgettable! -The Power Family"
"Everything was perfect all ran like clockwork. Thanks Isle Blue. Villa very spacious clean and comfortable, everything you could need and more. Great location 1 minute walk to the beach, great pool, 10 minute drive to supermarkets. Very private not overlooked just perfect. Keen kept the villa pristine and we felt so spoiled having all our laundry done. Thank you Keen. Winn is a brilliant cook. Ask her to show you the pictures of food she's made so you don't miss out. Chicken curry, jerk chicken rice and peas, cheese cake, coconut prawns etc. etc. Her marinated tuna steaks are awesome as is the rum punch. The villa has been re painted inside and out and they are changing the furniture in December. I guess if you're very picky the villa does need some updating but we liked it as it was . Can't recommend it enough and will definitely be coming back. Jan and family Lincoln UK"
"Great EVERYTHING. Isle Blue thank you for your professionalism in all areas of my trip. Thank you for letting me find my way in planning and then executing my plan. We had such a GREAT time with my Dad, who is a Navy veteran & a 40 years veteran of Chicago Fire department and it was our time to be with my dad on 1 of his last fishing trips. And with the success of this year will DEFINiTELY return in 2019! God bless you"
"Everything was perfect from start to finish." "Just the most unbelievable vacation experience ever. The staff were exceptional...and anticipated our every desire. My guest are having trouble adjusting to being home and we are already making plans on returning. Thank you so much Hawksbill staff! I spent 4 months planning a 60th birthday and vacation for 20 people. It took a lot of organization are pre-arranging. Isle Blue was very helpful with all aspects of this trip. Highly recommended!" "The most beautiful and luxurious location and space. Our honeymoon could not have been more intimate, private, fun, gorgeous, and magical. Amenities were fantastic. Response from management was incredible. Care for the property was spectacular. And the views and beaches were remarkable. Isle Blue provided exceptional service. And an exceptional experience/vacation." "Trip was beyond expectations. Will definitely be in touch on future travels." "Thank You for all your help. It was a pleasure working with you." "The experience with Isle Blue was nothing short of perfect. We had the most amazing vacation to the most beautiful islands - Turks and Caicos. We will be booking with Isle Blue again!" "I had a great experience with Isle Blue. They stayed in contact after booking and made sure to finalize everything with me a few days before my trip. The villa was AMAZING and I was pleased with all services. I'll definitely be using Isle Blue again!" "I am so glad , i came across isle blue website .. we were booking last minute trip.. and we were so confused Esp traveling with baby and infant.. we were browsing and couldn't find right place .. isle blue is different . You have someone always available to answer your questions.. Rob was a great help he explained the property and things to do around ... Rob helped me with all the questions and every small details were taken care from pre grocery to everything.. Thanks to Kate .. Our stay was very comfortable a. This was the best trip for us . No hassle during our stay .. property manger was great (Julian) we couldn’t not find taxi to go to airport. He personally dropped us to airport Best trip so far with no hassle with infant and toddler. (thank you Isle blue team) I an definitely booking more stays from Isle blue"
"Isle Blue was able to help us quickly book a vacation and be on the beach in three days We stayed at Beach Enclave #5. The villa was amazing and the location was so perfect that we rarely left to discover the rest of the island. We enjoyed watching the sunrise and set on the beach, snorkeling, and having island cocktails by the infinity pool. We were in desperate need of a stress free vacation and our butler, Nuwan, made sure we were more than taken care of. He was absolutely phenomenal! He took care of all our needs from arranging activities to helping prepare fabulous meals and tasty drinks. We would definitely book again!" "Perfect service from start to finish. They handled everything for me....very easy and stress free." "This property was unreal. To think it was just in a possible top option now baffles me. It's the only option. This place could rent easily for twice as much. Words cannot describe...and I'm pretty picky with high standards. It was like having our own mini-resort. There cannot even be a close 2nd to this property. Isle Blue's service was perfect service from start to finish. They handled everything for me....very easy and stress free." "Thank you Lisa! It was wonderful." "Booking with Isle Blue was easy, they answered all my questions. Stayed with my family July 2018. The Villa deserves a 10 rating. It was everything and more. Relaxing, Secluded, Amazing. The views , the grounds/garden, and the home is spectacular. We can't wait to book it again in 2019." "Thank you again Lisa. You ROCK! You have made many people happy up here on Cape Cod this weekend!" "Isle Blue was helpful and quick to respond. Professional and the property was exactly what they advertised it as. I would definitely use them again, and we are already looking to book the next trip!" "Isle Blue is wonderful every step of the way when planning your vacation. From the very beginning of booking to the very last detail from concierge. I enjoy working with them because I know I will have a fantastic trip with no detail spared. I look forward to booking my next trip with them!" "They took care of every detail and whenever we had a question they were very responsive. When you have a question of concern you want it addressed immediately and it was. Everyone was a pleasure to work with." "Ecoute les Vagues is a wonderful villa that offers everything! The amazing inside is extremely comfortable and stylish! Obviously the backyard cannot be beat with the pool and being beachfront! I look forward to my next stay in this fabulous villa! Isle Blue is wonderful every step of the way when planning your vacation. From the very beginning of booking to the very last detail from concierge. I enjoy working with them because I know I will have a fantastic trip with no detail spared. I look forward to booking my next trip with them!" "I just wanted to add on to Patrick's message about Villa Susanna. It was probably the best vacation we've ever been on. Not only did we fall in love with Marigot Bay and St. Lucia, but that house and the staff were beyond amazing, caring, friendly and just fabulous. I can't stop thinking about our vacation. This is someplace we would love to go back to again (hopefully in the near future) and share this villa and experience with our family and friends. As for the house crew, Lucilla, Anne, Roy, etc. went above and beyond to make our time spent there memorable and exceptional. Thanks again for your help and answering our many questions. We appreciate it." "Villa was really terrific - just what I wanted. Olivia, the housekeeper, was FANTASTIC!! Truly, it was everything promised when I booked. Your services were nice, responsive and helpful. Shellona for lunch fabulous. Maya's to go great! All the dinner restaurants open seem to be really good - did not have a bad experience. Looking forward to the hotel restaurants opening. " "Just wanted to drop a line to confirm what an excellent holiday we had at Waterside 405. All of the arrangements worked perfectly and the apartment, and service we received was second to none. Thank you for organising and I am sure we will be in contact again soon." "We wanted to let you know that your recommendation/selection couldn't have been any better. We all had a terrific and most relaxing and rejuvenating time and we will return for further Isle Blue special escapes. Thanks so much for encouraging, "
"We had a fantastic time and cannot wait to go back. This was our 9th trip to Barbados so we are quite familiar with it and were very pleased with the location of the property and the facilities. The staff were very friendly - we will definitely use your services again :) Thank you !" "Tamarind Hills was gorgeous…the home, the pool and the view!! The weather was perfect and so was the pool. We went to some great restaurants….The Admiral's Inn and Catherine's in English Harbor. The drive was a bit scary since we did not know it would take that long or be so dark. It was further than we thought…but worth the ride. Also Dennis ‘ on the beach was a great lunch area. Sheer Rocks and the roof top restaurant at Sugar Ridge were also highlights of our trip. The only drawback is that I felt it was dangerous to walk anywhere on the roads since the cars came by so quickly.Other than having to take a car to most places, it was perfect. We had a wonderful, relaxing family vacation on a most beautiful island!! Thank you for all of your help, info and suggestions!! " 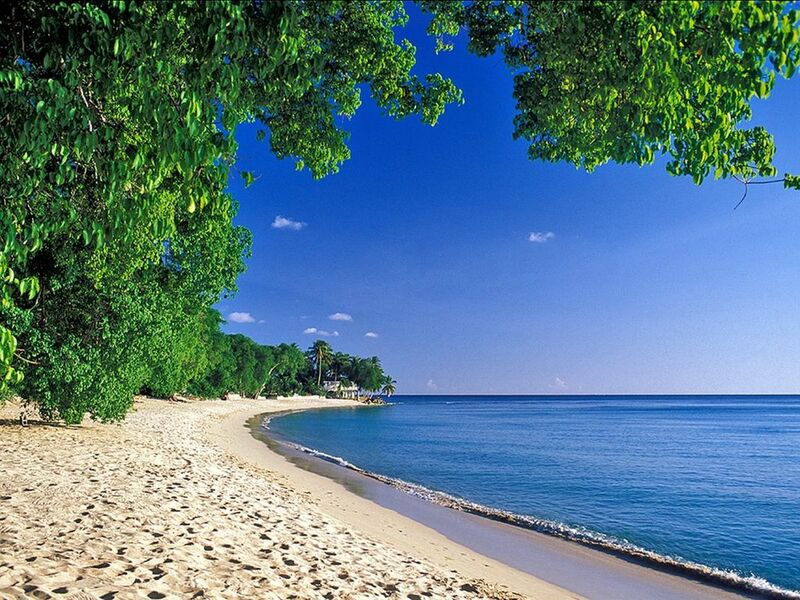 "Our holiday booking experience in Barbados was fabulous with Isle Blue. Their staff were excellent in every way from initially booking the villa to final arrangements prior to our trip. Everything ran smoothly from our arranged pick up from the airport to the staff at the villa and the contact in Barbados. Would fully recommend anyone to use them and we will be back! " "Everyone at Isle Blue is so happy to help make our vacations the best week of our year. Everyone we have worked with there, especially Rob and Mary, have gone above and beyond. I can't recommend them enough! Thank you for pampering me the past couple of years. We will be back next year!" "This was our third stay at Old Trees booking with Isle Blue and once again we have been provided with exemplary service!!! Our contact Sue is wonderful and available by email whenever I think of something else to ask or to add a reservation or change departure times. We head off on our holidays knowing that everything will be perfect...the only thing we have to worry about is if we’ve ordered enough wine!! We’ve just booked through Isle Blue again for next year and can ABSOLUTELY recommend their services!!" "My husband and I visited Antigua in February 2018 and used Isle Blue to choose and reserve a private villa. The service I received from Mary and Lisa at Isle Blue was superior. Lisa was very responsive and helpful to us in answering our questions promptly when we were choosing a villa on Antigua. Mary was very helpful providing quick answers to my many specific questions about Antigua and the villa in the weeks prior to our arrival in Antigua. I would definitely use Isle Blue again to rent a villa in the Caribbean." "We very much enjoyed our stay at this lovely villa and were very satisfied from the service we received from Isle Blue and Skep, the local property manager. Skep was there immediately to answer our questions and couldn’t have been more helpful. The villa was lovely, and the view could not be beat! Also, thank you to you and Mary for answering all of my many questions accurately and very timely. I will definitely use Isle Blue again when booking a Caribbean villa." "We had a one week family holiday in Nevis at Mahogany Manor in January. The house is very comfortable with spectacular views. Having access to the Four Seasons Hotel’ facilities was a great feature which we used extensively. Nevis is a wonderful island with lots to do (including excellent hikes) and a variety of outstanding restaurants. The staff at Isle Blue were very helpful and professional." "Comments about Isle Blue: One word - Amazing! The best accommodations we have had. No complaints at all." "Your company is truly the best company we have ever had the pleasure of working with and has going above and beyond this time!" "Booking handled easily, good communication betweeen myself and the agents. All queries answered and no surprises upon arrival. It was also nice to receive a quick note after we arrived checking to make sure all was good. Nice to know that we were thought of past just making the booking and receiving payment! " "Very detailed and efficient help pre booking and were well looked after when we were on holiday "
"Great service by Isle Blue and Sue has been very easy to deal with. We have received a lot of information before leaving and it was really appreciated. " "Thanks once again for all your attention and I would certainly book with Isle Blue again; perhaps Europe in 2018." "You've assist me every time I asked for up to my expectations, and you were very helpfulThank you so much. Wonderful working with your company." "Lisa, thank you again for everything! It was such a pleasure booking my vacation with you. I hope to spend many future vacations with Isle Blue! " "Our experience has been excellent, from the pre-trip support to the airport transfer, and villa staff. We want to particularly acknowledge the staff at the villa - Angel, Oliver, and Alfie. Villa was amazing. Excellent accommodations and setting." "Must tell you: we have rented apartments in a number of European cities and you (Sue) are by far the most pleasant and efficient representative we have dealt with. " "Sue / Lisa, I just wanted to tell you that our vacation at Radwood Beach House 1 was absolutely amazing. From the initial booking and keeping in touch with me those many long months leading-up to our vacation, through to the assistance you provided with first the arrival of my wife and I and then the next day our children and grandchild, and even Lisa following-up with me while we were still in Barbados.........very professional and very well organized. In terms of the villa, we could not have asked for anything more. It was in the perfect location, central to Bridgetown and Holetown, although I must confess that we spent the majority of our time at the villa. Who would not want to take advantage of everything Radwood Beach House 1 had to offer, including two exceptional staff; June who is a world class cook and Lateisha whom assisted June in keeping the villa looking immaculate. The plunge pool was used non-stop and when we got tired of just floating in it, we took the 7 steps from our deck to the beach and we had the beach for playing, the ocean for snorkeling (directly in front of the villa) where we even had some small sea-turtles visiting us daily. I appreciate both of your efforts in making this one of the most memorable vacations for our entire family and we will definitely be using Isle Blue for any future vacations to the Caribbean. Thank You Both!" "I would like to thank you both for a wonderful vacation we had at Portico Villa in Barbados - it is a beautiful villa and your company is very well organized - you were both quick to respond and make sure everything was perfect. Fantastic ! Thanks again"
"Kudos to Lisa & Mary at Isle Blue !" "We had such a lovely time at Villa Kessi and can’t wait to visit again. We will definitely keep you guys in mind the next time we are booking our vacation. " "We had an amazing experience booking through you guys. Everything was organized perfectly and executed flawlessly. In terms of the villa itself, we loved it. We very much liked the fact that we could tell the cleaning lady (Catherine) not to show up for the entire time we were there, which gave us the privacy and relaxing atmosphere we were looking for. Catherine was lovely, we just simply didn’t need anyone around and we loved that this request was followed. We would definitely recommend this villa to anyone wanting to get away for a relaxing, quiet time. The villa itself was beautiful, including the kitchen which we cooked many great meals in. Thank you for your help in organizing this great vacation for us." "Thanks a lot for the great service, Lisa !" "I will definitely recommend your services as you have been a huge help for us. " "Fantastic views, loved the moving TV feature. Loved the bath beside the bed and kitchen design. Fantastic villa. Your services were 5/5." "Wonderful place with delightful staff. St. Martin Blue Comments: Everything was as described. It was a perfect place to have a family vacation to celebrate our son's 40th birthday. Everyone at St Martin Blue was incredibly helpful. They made the whole last minute trip stress free." "Merci pour votre professionnalisme, le séjour à très bien passé "
"We had a great time, villa was perfect and your company very efficient, and will defo use you again – a big thank you. " "I must say that everyone at Isle Blue I have dealt with have been AMAZING – you are all extremely helpful and it is much appreciated." "The villa was perfect for our family of 5. The view was outstanding. It is also well located for travelling to all parts of the island. We loved it. Isle Blue services were very helpful and responsive to our needs. " "Services provided by Isle Blue were outstanding! All the employees I had the opportunity to work with were professional, friendly, and easy to work with. " "Great thanks Lisa… thanks for your efficiency"
"Well equipped, in great condition, HVAC throughout and very safe location. Great View and pool. You lways do a great job on the front end of planning the Villa stay. " "Our second time at Happy Bay and still love it! \Mary Patti is outstanding and always ready to help. Wouldn't want anyone else taking care of our trip needs. " "The Villa was absolutely amazing. It was the perfect spot from the open air kitchen to the infinity pool overlooking the ocean and Shell Beach. We will be coming back again! The service we received from your company was second to none. We thoroughly enjoyed every aspect of this experience from booking, to concierge service, to the vacation its self. " "Villa was beautiful, great location. Sue was amazingly helpful. " "Excellent in all respects. Rob was very helpful in securing a good 'deal' on the villa which persuaded us to spend our 7th consecutive holiday in St Barts - the cost of flights from the UK has escalated enormously in the last two years. Instructions an information were excellent and Leslie kept in touch throughout our stay although we are always happy to do our own thing. " "Thanks Laurene. It was truly a wonderful and memorable vacation for all of us. Your team did an excellent job in making it this way! I look forward to doing business with Isle Blue again in future." "Sade was fabulous! We loved it! Thanks for your help!" "Isle Blue services were exemplary." "Beautiful. clean ,convenient and we felt very safe with the Manager living nearby. The views were gorgeous and the location was convenient to everything!! Isle Blue Services were Perfect! Very thorough!! " "Location, location, location! Right on the beach with steps down to the sand from the private pool deck. Also, very functional kitchen set up with a great outdoor charcoal grill by the pool. Very nice owners. St Barts Blue were great with help securing the villa, the rental car and the flights to SB. Always prompt to respond. " "Thank you for your diligent and tireless work to provide us with a phenomenal rental property." " Perfectly lovely and perfect for our family of 10 who ranged in age from 7 to 70. So sorry to hear it will be renovated. We loved the charm of the French colonial style and decor. Isle Blue Services Comments: Starting from day one, with Mary Patti, and continuing through to our departure with Peter, everyone involved with our stay (Drivers Hassan and Peter, Miss Eileen who took such good care of us and who we wanted to take home, Justin, our hero, jack of all trades and body guard, our sweet, quiet pool man, Fabian from the rent-a-car, our chef and waitress from Fabulous Feasts) provided 7 star service with smiles and hugs and a warmth that encircled us. " "Renting a house, as opposed to finding a hotel, was new for us this year and a little overwhelming. Isle Blue made it so easy! From arranging the rental car and getting a driver to and from the airport to promptly answering emails (with sometimes silly questions), we have had a great experience with Isle Blue and plan to use them for our future travels. Thank you Mary! You are the best! " "Very attentive service from Solenne making sure everything was in order. " "My wife and I were totally satisfied with how we were treated by the staff at Isle Blue. Many thanks to Lisa and Laurene for their courteous attention to our vacation needs. I can't think of anything that Isle Blue could have done better. " "I think you did a fabulous job. Overall it was a great experience and would love to return again soon. " "Exactly what we wanted and needed! Epic facility! Love the service by St Martin Blue- very attentive to individual and specific questions beforehand. " "This emails finds me back in my office after a week of absolute paradise and pampering. Our driver from the airport was friendly and helpful, our car was waiting for us, as was the maid, Mary, who was more delightful that I thought someone could be. The house immaculate, the views absolutely stunning and the people wonderful. Thank you for all of your help on getting this all put together and please share with Illted how happy we were with everything (especially Mary). We will definitely be back there!" "The villa was comfortable and took full advantage of the gorgeous view and lovely weather. Great location - away from it all but still very convenient. The major factor in the 5 star rating was the service provided by Debbie - top notch - lovely person and knowledgeable and easy to deal with and on top of everything we could need or want. My granddaughter and I would love to redecorate and revisit the colors but not a biggie - gave us some fun chats! Restaurant Recommend: Cocomaya is unique and a great choice after a few days. Sugar Cane was a very pleasant surprise and right next door - perfect first night choice - "Music" a problem at The Baths" so we didn't stay for lunch or come back for dinner - Activity Recommend: The basics - The Baths - keep trying until you can get in the water; Copper mine fascinating and well signed; Bitter End - a very "on Vacation" feel. " "We loved it at SeaGlass. That worked out great for us. It was tough having to leave. Thank you again for all your kind assistance." "Our stay at Villa Batu could not have been any better. We've fallen in love with the island and people and we could not have asked for anything better staying at the villa. It is amazing. ... Morgana (the property manager) is just the best. She's been so helpful and has treated us so well. She is just a gem. We will be back for sure and thank you for all your help. " "It was more than we could have ever dreamed of. Excellent location and such a serene retreat. Our Isle Blue rep (Laurene Mack) took care of each and every need we had. " "We had an amazing time in cap Cana. Our family said it was the best vacation ever. Thank you for your help and thorough follow through"
"Absolutely the best sunsets and the best villa we have visited. Great worker in Gemma. Gardens are manicured. 10's. 2 - Fridges, 2 Dishwashers, 2 Ovens, Sat TV is full of channels in English. Kitchen is roomy. Showers are so Cool, Indoor outdoor. Just Paradise. " "Great house we loved our time in St Maarten thx! " "Very beautiful, clean and well maintained/equipped villa. Excellent service before, during and after our stay. Extremely responsive to any requests/questions. Private boat charter was excellent. " "Everything, including the weather (thank you!) was terrific. Many thanks for your assistance with the experience. And Happy 2017!" "My husband and I had a wonderful stay at Moon Shadow. I wouldn't change a thing. Your staff was great, especially Mary Beth. We will definitely reach back out next year to book another condo, maybe even the same one :)"
"This was a very nice one bedroom condo villa. Isle Blue did an admirable job of booking our trip and handled any questions we had on certain needs. The villa manager Mary Beth was excellent throughout our entire stay also. " "Loved Just In Paradise. This beautiful, modern villa was well appointed. We loved that the rooms were equally appointed with king size beds, and beautifully equipped showers. The large Jacuzzi was enjoyed by all. This is a villa we will surely rent again. Rob (villa specialist) and crew took great care of us. The suggestion to rent this place was on point and it fit us perfectly. Mary (our concierge) worked with us to make sure everything was in order." "Loblolly has 6 bdrooms & 6.5 baths & was perfect. We were a family of 14 ages 72-13 (Grandparents-grandchildren) The kitchen was well stocked & plenty of room for everyone. The pingpong table was a huge success as we are a competitive family. The pool was large enough to swim in. The beach was a short walk w/ great snorkeling. The landscaping is beautiful & the flowers had wonderful fragrances. We had an awesome time just being together & enjoying the beauty of Virgin Gorda. We snorkeled almost every day. Isle Blue was helpful in recommendations of a variety of activities. They answered my many questions. We would work with them again. So where do we go in 2018??? " "Fantastic view. Perfect for a couple. House keeper was very helpful and friendly. We loved it. Our concierge- Leslie, helped to make the trip better. We loved the concierge service. As for restaurants, Bonito was our favorite. Tiwana on Flammands was good lunch. Le Ti was very fun." "This was an amazing villa and the views were to even more amazing. There was a private pool and a separate cottage. The villa was well kept. All of our needs were provided for. The housekeeper Luciana was an absolute gem and she was great cook. The WiFi was spot on. Unfortunately not everything was perfect. I was unable to use the pool for a few days because it was pretty dirty and I did not really know how to clean it myself. They could use some sort of mosquito or screening netting on the first floor. There is no air conditioner downstairs so we were forced to keep the doors open, but mosquito's were a huge problem for me. Mosquito netting may help with this but that would probably obscure the beautiful view a bit. Overall the trip was amazing and I would recommend this villa to anyone. I do plan on going back but next time with bug repellent. Isle Blue Services Comments: You guys made the experience so easy and enjoyable for myself and the entire family. I appreciate all of you hard work in helping to execute a divine vacation for us. " "We had no problems booking with Isle Blue. Maya was very attentive to all of our questions and concerns and was extremely helpful." "Our stay at Church Point 2 was exquisite. The villa was perfectly located on a very uncrowded beach. The house staff were wonderful and attended to our every request. Angela, the cook, even allowed me to get in the kitchen with her to learn a few Bajan cooking tips. We had a wonderful stay and can't wait to go back. Isle Blue was very helpful in arranging everything we needed for our trip. All of our questions were answered very quickly. There were no surprises or inconveniences that came up through our travels. " "The villa was comfortable, clean, quiet and safe with incredible views and super nice ocean breezes. Isle Blue is one of the most responsive TEAMs we have ever dealt with and we have traveled a lot to many luxury villas and at numerous locations. Thanks to Amin and Laurene Especially! " "We love this villa. It's got everything you could want. You feel so at home.The view is spectacular. We are very pleased with your services online and once you are on the island. As for restaurants, Bonito and Le Tamarin are still our favorites for the food and the ambiance." "Our Australian and Canadian family loved our stay at Turtles Nest. The villa is stunning, it is a well designed contemporary space, beautifully furnished. The locations is amazing with beautiful beach views. It is well looked after by a lovely team of staff. St Martin Blue have been booking our trips to SXM for many years. I cannot recommend Robert, Kate and Mary enough. They are there to help you with reservation, trips, cars and any issues that arise. If you want a seamless, stress free holiday use St Martin Blue." "Isle Blue Service was impeccable." "Isle Blue services were excellent..Maya (Jamaica villa specialist & concierge) was amazing "
"It was great. Very comfortable for the 12 of us. Your services were great." "Your services are always A++++." "it was a truly great time in st barts. The villa was fantastic and the support provided by both your group ad the local contact was outstanding"
"Everything was great! We had an amazing time in St. Lucia. Thank you for all your help making arrangements""
"Great service from Isle Blue. Attended to all of our needs promptly. " "The villa is beautiful, well appointed, spacious and clean. The villa is of very high caliber and met our standards. The view from the terrace is spectacular. Our trip was sheer perfection. Thank you once again and we look forward to returning. Isle Blue was very professional and courteous. " "We loved the villa, it was clean and beautiful - exactly as described on the website. We felt completely safe at the villa and in St Lucia generally. We found the local people in St. Lucia extremely friendly and helpful. The service we received from Isle Blue was extremely professional and through. The complete process of renting the villa, renting the vehicle and the airport pickup was flawless . We really appreciated how easy everything was . You were able to meet all of our needs extremely well. " "Villa was better than advertised. Great indoor and outdoor space with comfortable furniture and bedrooms. Some members of our party would have liked curtains (window coverings) in the bathrooms, but not a big issue due to the privacy. Your services from initial contact on website through to greeting at Villa and maid service were excellent. " "Amazing villa - better than we expected. Great service from your company." "The whole family enjoyed the villa and we all really loved the staff. Mom was super surprised and thrilled the entire time - she didn't want to leave. " "We rented both villa Farniente and Etoile de Mer. Villas were amazing. Zero complaints Mary Patti (concierge) was fantastic and made the whole experience enjoyable. Any contact with the entire staff was tremendous Mario's Bistro was awesome. Recommended Activity: St. Barts was a great day and a day snorkeling was very nice "
"Isle Blue was very easy to deal with. They addressed all my questions and concerns promptly and were very friendly. " "Villa is extremely well equipped. Everything was in working condition. Sonny the caretaker does an amazing job of keeping the property well maintained. Isle Blue services were excellent. I have never dealt with an agency that was so helpful. I can't think of one thing on how to improve! " "Service with Isle Blue was exemplary. Our contact, Sue with Isle Blue was great!! It didn't matter when I emailed her she was very prompt in her reply. Sue made many arrangements (and cancellations) for us vis a vis reservations and was most helpful. She was the one who suggested we take advantage of the "fast track" arrival in Barbados which was far and away the best money we have spent in a long time. Truly worth it to arrive at the airport and bypass all of the lines!! Sue was a pleasure to work with!! " "Thank you. You guys have earned my trust after three prior trips. Love working with you." "Maya was amazing. She answered every question and was there every step of the way. We will definitely call her again. She was amazing and also went out of her way to take care of us. " "Isle Blue was great to work with and made the planning process quite easy (especially I was planning for a group of 9 people coming from across the world). They were great at provide information on time and explaining alternatives. I really appreciated the help in locking down the house and transport and most of all their patience in discussing alternatives given such as large party. The customer service and willingness of the agents to help was amazing. I will definitely be using them for additional trips." "The professionalism of your company's staff was excellent. From my initial discussions with Eddie re the villa selection process, to Mary who provided a timely, organized and detailed pre-departure itinerary and followed up to assure we were pleased with all arrangements. On behalf of my wife and guests, thanks for a superbly well done job. Our guests were polled re your performance on a scale of 1 - 5 ( with five being the highest), and they rated you a 5. We are seriously considering a return vacation to St. Martin and will certainly use the your services. " "We had a fabulous time in St Barths! We totally loved villa DKD and was pleased with the provisioning. The attention to detail was very nice, there were no scuffs, dings or wear and tear on the villa that we could see, that was nice. The catamaran company we used was professional, prompt and the boat was only 2 years old. Great experience. Our favorite restaurant was Bonita, the bakeries in Lorient were great and we did find the little fish stand near our villa. I will recommend your company to everyone. I will call you again when we are headed back to St Barths." "I enjoyed Isle Blues service. I especially appreciated the responsiveness and patience ( to the extent that I speak very little English ) , kindness , availability of Blue Isle of interlocutors. I have only good things to say about Blue Isle." "This was hands down our most wonderful vacation with the kids! Cumulus is absolutely breathtaking with its artwork, architecture, property, and pool. The mirrors and glass offer stunning views of the ocean in almost every direction,the place is immaculate and so exquisite yet incredibly comfortable. We LOVED it! From the moment our plane landed in St. Maarten we felt pampered and supported as we were whisked to St. Barths with such professionalism and warmth. Everyone made us feel special and welcomed and were available to respond to our every need the services are unparalleled. We enjoyed a great dinner at the restaurant at Le Sereno and lunch at Eden Rock and Do Brazil. " "Lovely Villa, exactly as portrayed. We received excellent service throughout the process. The concierge service was also excellent. Very rapid and through follow up. Just as you would hope." "We had a great time!No one wants to leave! Next time we stay 10 days!" "The view is spectacular! We were equally impressed with all the comfortable lounging areas. The bathrooms were very well done and the furniture was all so well done. Loved all the appliances! Your company was a pleasure to work with and offered us top notch service. Our guest relations specialist, Leslie Feeley, was especially helpful. She was very attentive, prompt and courteous to all our needs. She was truly a delight to work with. Not sure how you can improve perfection! We thoroughly enjoyed Tamarind and Do Brazil. Our family loves to hike. So, the hike to the Washing Machine & Natural Pools in Grand Fond is a must. As is the hike from Flamands to Colombier Beach." "Our second year at Villa Coral. Loved it both times. Great value for the location and amenities. Hope to return next July. You are always very easy to communicate with. Our Seventh time using your company. Will be working with you in 2016! Restaurant Recommendation. : Mario's Bistro always the best. We always go there our first and last nights. Temptation and Spiga again did not dissapoint - also highly recommended. Sol y Luna was one of our favorites for years, but the food is no longer special, they seem to be concentrating on their guest quarters now." "The villa was beautiful and it far exceeded our expectations." " we wanted to thank you and your team for a wonderful trip. Everything went smoothly and the villa was absolutely gorgeous. Thanks again for the lovely fruit and the on-island recommendations!" "The villa was great and we really enjoyed the trip. Your service and attention to detail was excellent." "Thank you and your team for helping make our trip special. We loved St. Bart's and hope to return sooner than later." "We were very happy with everything you did for us. Your service was great." " St Barts Blue services was great. Responsive and supportive. " " Eddie and Mary were fantastic! Always got RIGHT BACK to us. Really appreciated the service!!! " "Your service was perfect "
"I wanted to thank you so much for all your help. YOU ARE AWESOME!!! Sorry about all the last minute dinner reservations. We thought we had time, then we got really busy, and then it was 2 days before the trip. You totally came through for us, thank you! The villa was amazing! We all had a great time." "Eddie did a great job directing us there. No complaints about anything!!" "Extremely helpful. If you asked for something they responded immediately"
"The rental car that Mary arranged for us worked out great for us as well. We are looking to take our entire family next year and will plan well in advance for 2016.Thanks again for your help in arranging this vacation and we look forward to booking with you in 2016. " "Your staff were excellent and provided all the necessary information for an easy reservation, check in and check out. Keep doing what you are doing." "Services were fantastic. Loved that we could email Mary to set up dinner reservations. " "Leslie, our St Barts Blue concierge, was great and always on call. She got us great tables at every reservation requested especially Le Ti"
"As always, St. Martin Blue gave outstanding customer service. Can't really offer anything that needs improvement. " "The villa exceeded our expectations in a big way! beautiful, both inside and out, very private even though you're in a subdivision-type area. great location, I could go on and on. In regards to St Martin Blue services, you folks have been nothing short of first class all the way through the process for us. Thanks very much for a trouble free experience!" "The service was exceptional!The cleaning crew went over and beyond our expectations. The fridge was well-packed with our pre food/drink requests. James, the gardener does an amazing job maintaing the landscaping. The grounds are gourgeous! The service crew made sure we were comfortable at all times. " "The staff was attentive and lovely." "Great service.The massages in the Villa were wonderful. " "This villa is perfect for me and my family. It has an amazing view, beautiful and modern kitchen, spacious bedrooms and bathrooms , and careful decoration. We had a wonderful week at Apache, and from the three villas we have rented in the past, Apache became our favorite St Barts Blue services were perfect. " "Your service was perfection. We loved our stay at Etiole de Mer and I cannot thank Mary and Kate enough for all their help. They organized so much for us, from car rentals to restaurant reservations etc. I cannot recommend them enough!! Juliette the housekeeper was wonderful and a pleasure to have around. I don't think anyone can beat the service you provided. This is the 3rd time we have booked with your company and we will definitely use you again." "Exceptional villa. Technology and televisions were very current. Excellent view. Good security and staff. Very easy reservation and booking process. I recommended the chef services, it was very good. " "This place is unbelievable, couldn't have been happier with it." "The Cliff 4 bedroom high floor unit was clean, spacious and bug-free! Great views. St Martin Blue delivered great service. I suggest Rendevous cafe in Porto Cupecoy and visiting Pinel island." "Everyone we came into contact was terrific. I think your customer service was amazing. I have no suggestions for improvement. Your response time was excellent any time I reached out." "The villa is just outstanding. Great layout, beautiful pool. The view from the villa is unbeatable. We enjoyed the comfort of the villa and all its amenities. This is our first time booking with St Martin Blue and we will do it again. Enjoyed all the information provided before the trip. I definitely appreciated St Martin Blue staying in touch with us during our trip and attending to our needs. The team at St Martin Blue did a terrific job. " "We loved the villa. The photos online didn't do it justice. It was beautifully furnished, the kitchen was well equipped, and the books and English cable TV were a nice bonus. But the best part were the outside areas- the grounds, the pool and outdoor dining. The place overall far exceeded expectations. Isle Blue's service were friendly and gracious. The staff on the phone and in Provence were extremely helpful. " "From booking to actual vacation, St. Martin Blue was helpful and reliable. Mary Patti was on top of all details that needed attention and more than willing to book excursions, answer questions etc." "Everything was perfect from start to finish. Your services were very, very, accommodating"
"La Roche was a very nice villa and quite possibly the best value on the island. The pool is second to none with the beach entry, natural rocks in the pool, and landscaping. My daughter took some incredible pictures and video with it in the background. The sound system (indoors/outdoors) is fabulous! The house itself will not disappoint - it is simple, tasteful, and upper end on decor. The surrounding area is remote and quiet. When outside we can hear the waves crashing the entire time. The beach is just a couple of minutes easy walk away on flat ground. We found the Washing Machine area - invigorating hike from the villa so take water with you! Kitchen had every thing we needed to cook, beds very comfortable. St Barts Blue did a great job on arranging rental car and ferry transport from St Maarten"
"We had a great trip and we appreciate all you did for us. The car hire was also very smooth. The memories from this vacation we will truly treasure and we owe it to you. Thanks so much for working with us and helping us plan it all." "Mary Patti (St Martin concierge) is the greatest." "My experience was with Mary Patti (St Martin concierge). Mary was so helpful, she answered every question and made al my dreams come true. Mary ordered my tropical flowers, that came out even nicer than I expected. Mary ordered our food (stocked and catered) which was so wonderful to have it all there when you arrive. Mary's help with the 2 cars I needed was invaluable , as I never rented a car out of the states and was a little nervous." "I wanted to personally thank you for helping me arrange a FABULOUS 40th Celebration for Keith! The arrival Aperitifs were FANTASTIC and the gift of the bottle of Champagne was the perfect arrival to set the tone for the week, and I might add a very delicious champagne choice! The massage therapists were very good and were a great start to an amazing meal prepared in our Villa! I will be sure to email you some pictures once we get them loaded onto the computer! All the dinner spots you arranged were perfect for celebrating! I could not have planned this much FABULOUSNESS into one week without your help! Thanks again! I look forward to planning another vacation in St Barts sometime in the future!! " "We love the villa and we had a great time there. We will be coming back to same place next year." "Your company's service was excellent." "Villa was immaculate. Cleaned perfectly each day. Fresh beach towels every day! The Bose stero system that interacts with the Iphone was nice. Some ceiling fans in the living room would be nice. Perfect location...3 minutes to Orient Beach." "Thank you for making this trip so easy. You did a great job of organizing, staying in touch and answering all of our questions before and during the trip. " "We had a wonderful, relaxing vacation and we were very pleased with the venue and with the convenience and accessibility of your staff and partners. Everything went very smoothly. We have been to St. Martin a dozen times before, but this was our best experience by far. We will definitely book with you again." "Villa Etoile de Mer has everything we need and the view is to die for St Martin Blue services were very responsive." "Other than the power dying a few times, everything was great. Paula is lovely. Place was wonderful. Loved the VOIP phone...hot tub, gym. Only negative was no lap pool. St Martin Blue were the best. Love St. Martin Blue. Perfection. You cannot improve. " "St Martin Blue Services were excellent." "St Martin Blue services were impeccable"
"Robert, Just wanted to let you know how pleased with our stay at Lune de Miel. It was terrific and met our needs well. The entire stay went smoothly. Isabelle responded immediately to a couple of questions. Thank you for the guidance and advice you provided during the booking process." "The villa was clean and beautifully decorated. Great views of the ocean, cruise ships and airplanes. Myrna was a great help as well. St Martin Blue is my agent of choice. They've always made sure our stay was wonderful and that we got the most for our money." "Awesome layout, very private, great pool, and St Martin Blue does a great job keeping you happy!" "St Barts Blue was highly responsive"
"This was the 3rd year in a row to stay at Mango. This year's new umbrellas/lounge chairs were very much needed and welcomed as well as keeping the cushions on the patio inside the villa when not used helps to be able to enjoy the beautiful view while dining outside and fend off the mosquitoes. We look forward to the return next October!! Mary Patti and Kate at St Martin Blue are wonderful. Always a pleasure to work with them. Vic at Thrify rental always makes me feel welcome! " "Great view of Orient. Villa was extremely clean and well kept. St Martin Blue services were outstanding as always." "St Martin Blue service was very helpful with all of our questions and concierge needs." "Villa Turquoze was very clean and modern. St Martin Blue's services were excellent as always"
"The villa was exactly what we were looking for. It was a great recommendation. Great location and amazing view. St Barts Blue Services were Excellent in all aspects. " "St Martin Blue services were Awesome"
"The nicest villa I have ever stayed in. The views are spectacular and the photos on the website are spot on. St Martin Blue services were excellent. We had no issues the whole time we were on the island or before our arrival"
"The villa was gorgeous!! The best place we have ever stayed on vacation! The villa was beautifully decorated and very spacious. We were located directly on the beach which we loved. I would highly recommend St Martin Blue. The services were excellent and exceeded my expectations." "Fantastic villa, incredible view and excellently furnished. We could not have been happier! St Martin Blue Services Comments: I was very happy with the service provided by the US St Martin Blue team throughout the entire holiday process. " "La Favorita has an excellent design and finishes and a scenic location. Combining to make this one of the best accommodations we have experienced in the Caribbean. Perhaps, the only thing missing is a hot tub. St Martin Blue\'s services were very thoughtful and considerate from reservations through concierge." "Excellent from the very beginning of the planning process. Mary Pattii was extremely helpful. " "Service was superb and very spontaneous. We were in need of finding a villa very quickly and the St Bart's Blue team delivered. Rhonda and Kate were outstanding to work with. Both were vey caring and super responsive. Hats off to the Ladies, top notch." "St Martin Blue was responsive, Professional, Well Planned and thought out guidance for first time guests & travelers. Great Suggestions on Resturants etc." "Oh...my...God! What a wonderful vacation. Thank you for all your help with the planning, questions and the final selection of our trip to St. Martin. Cascades was everything and more!" "Mary, Rob and Kate, We are sadly back in Delaware after a really great week in St Martin. Thanks again for all of your assistance in choosing Ocean View which is a great Villa in a perfect location..! The weather was perfect which is typically the biggest concern when you book a trip and plan a week away. We had one very heavy rain storm in the middle of the night which actually sounded pretty cool on the metal roof once we all realized what was creating the noise. Muna is a really nice housekeeper and we enjoyed the time talking to her while she was in the home which was usually late morning when we were getting ready to head to the beach or out and about for the day. The farewell tour on Tuesday was also a great time..! We walked to dinner a few nights, drove to Grand Case one night and had lunch at a Lo Lo's one afternoon. We also drove in to Marigot one day.. The week went by way too fast..!" "Wow! The view was out of this world. Isle Pinet to the left and St. Barths to the right and Orient Beach in the middle. The villa itself was great as well. The living room was fantastic and it had great bedrooms. The only comments I would make is there could be more pool furniture with umbrellas and the stove top was tricky to figure out. I hate even saying that because the villa was so lovely in every way St Martin Blue Services were Fantastic. Wonderful check in and follow up call from St. Martin Blue. We will use you from now on!" "St Martin Blue Services was excellent from start to finish. i always got a live person when i called in the states or in St. Martin." "Very attentive and professional service. The whole experience unfolded just as planned and it truly was a memorable vacation. " "We had an absolutely wonderful time. The villa was gorgeous, the service was superb and the property management team were so friendly and helpful. We will certainly recommend St. Martin Blue to our friends and family (my son and his girlfriend are already starting to make plans for a return trip! ), and we would like to thank you and your colleagues for all your help." "The villa is the best we have seen, we will be back. St Martin Blue was very good, very prompt." "I wanted to let you know what a wonderful time we had at Petit Plage 4! The week flew by and we were all so sad to leave yesterday and fly home. I specifically want to make sure I tell you how lovely (and helpful) June, Remy and Carol were. Several of my kids cried when we left June and Carol behind! Your staff made our week perfect and care free. The catamaran trip that you organized was the highlight of the week (my kids got to see sea turtles!). The home was lovely and the beach was wonderful (a little bit rough some days). We could not have asked for a nicer 7 days. Thanks for all your help and effort. I hope to book a return visit in the future!" "Very good service. We are very happy with St Martin Blue." "We just wanted to thank everyone for a wonderful stay at Villa Kubana. You were all very helpful and responsive." "Our villa was extraordinary in every way - it was incredibly beautiful, immaculately clean & enormous - I was aux anges from the moment we first walked in! Every possible creature comfort was at our disposal...This villa was even more perfect than I had hoped it would be! St Barts Blue Services Comments: The service could not have been better in any possible way! Rhonda, our agent was unbelievably helpful, kind & patient from our first conversation on...planning this trip was somewhat complicated because we were with another couple who had completely different vacation needs than us, & Rhonda went through every pro and con regarding location, style & proximity of each and every villa with me in order that she could accommodate everyone's wishes - she also took care of every detail with regard to reserving cars, ferry tickets, etc..she was truly amazing, & I'd also like to add that I found her to be lovely and personable throughout my entire experience with St. Bart's Blue - I feel I made a friend as a result of our contact - She is a true asset to your company! **** There was also another lovely person I dealt with, Kate handled some of the many details, & I'd like to compliment her as well - she was extremely helpful, kind & expedient...what a team we had!!! **** THANK YOU SO VERY MUCH FOR EVERYTHING...."
"St Martin Blue's service was fantastic...they anticipated our every need." "Very accommodating and pleasant to work with." "St Martin Blue's services were excellent." "Villa Sarabande exceeded our expectations and we found that everything was pretty much as advertised. The location is great, and the view, especially from the infinity pool was spectacular. The pictures posted on the website are very representative of what the villa actually looks like, it has been very well maintained and is also very well outfitted. We found that the villa was a very good value compared to other villas we have rented in St Martin. The staff at St Martin Blue and at Pierres Caribes were all very efficient and fulfilled our every need. We would return to this villa on future vacations"
"The villa was breathtaking and the views were outstanding. Tony (caretaker) and Pamela (housekeeper) were very nice and helpful. Being near the ocean with direct access was everything I was hoping for. Everyone at St Martin Blue (Robert, Kate and Mary) were professional from the start and did everything I requested." "St Martin Blue Services Comments: Outstanding service. How can St Martin Blue Improve: Honestly cannot think of anything else we would require or need." "All services were excellent and as promised." "Excellent!!!!! Rhonda was my guide and absolutely wonderful. Thank you Rhonda!!!" "St Martin's Blue service was timely, professional, personable. The printed materials were professionally done and contained all of the information we needed in order to prepare for our trip." "Thank you so much for amazing concierge services and thorough logistical support leading up to our trip. Very professional." "Service was fast, responses prompt, always willing to help, felt like you always had help if you needed it." "The service was excellent. I have no complaints. Everything was handled in a timely manner." "wonderful service. arranged dinner reservations and, most importantly got our number of "visits" from pool, gardener, and maid down to almost nothing. we really appreciate our privacy and Mary Patti did a great job in minimizing the intrusions. made our visit THE BEST!" "This is the most beautiful villa I have ever seen. It is beautifully decorated and the views are spectacular. I have seen many houses on the island and none compare to this one. It is truly special." "We chose to have a very relaxing trip and did not participate in any excursions or services but we were well informed of all services provided and had excellent communication before, during, and after our trip." "St Barts Blue was very professional, kind & prompt to our requests. Highly recommend to all of our friends who travel to St. Barts." "St Martin Blue staff was very helpful and response time was excellent. Rental beach umbrellas were great, but rental beach chairs were not lounge chairs, just straight-backed folding lawn chairs and not comfortable for beach lounging." "This was our second stay on St. Barts. This is a very nice villa especially if you have more than one couple. I would stay here again." "Service was stupendous! The grocery delivery service was a blessing as was the meal delivery service. Responsiveness was better than any concierge service we've had before. " "We received excellent service. " "Excellent company to work with and will use again." "Services were excellent! Although no on-site concierge, the staff at the front desk were very halpful. Housekeeping staff were also excellent. I am very pleased with how my trip was handled. Kate and Mary were great to work with. I would highly recommend this company to friends." "My husband, 2 kids(3 & 4 yrs) brought both sets of grandparents to Hacienda in April. It was an amazing vacation. The pictures on the website looked amazed but were a little nervous because there was no reviews on the property. Well, we were more than pleasantly surpised with everything. We were greetd at the airport & brought tho the house~our jaws dropped, the house was even more amazing than the pics. online. It was beautifully decorated & the view was beautiful. It was very private & we felt very safe! The house keeper & groundsman went above & beyond. The grill & a DVD player were not working upon arrival & before we knew it they had a replacement. THe housekeeper was so sweet, we loved her & she kept our place spottless! We highered a chef a couple of days & I highly reccommend that, especially if ou have large parties. The food was amazing & it was very relaxing to have someone cook & clean up after. It is very close to the grocery store, airport & beautiful beaches. We loved the beach behind the golfcourse (2 min. away) Bring your iphone or ipod for music, there are docking stations everywhere. We had a blast. We highly reccommend this place & will return!!!" "Excellent attention to detail, first class all the way. " "We could not have asked for more from St. Martin Blue. They made reservations for us and were always willing and able to help to accommodate us. I can't think of any particular ways they can improve"
"Everyone at St Martin Blue was very accommodating. I can't see how they can improve"
"The villa is better than the pictures can ever show. Our next time back to St Martin we will definitely stay at villa Giselle. We highly recommend staying here. The villa is extremely clean and well maintained. This is something we look for no matter if we stay in a villa or at a resort." "The sales staff at St Barts Blue provided first class service. Keep up the good work.. "
"We'll be back!A fantastically quiet and ilidyc location. We had a wonderful holiday left to our own to cook the local produce, aubergines, peppars, tomatoes, figs and almonds, which were all available on the villas' land. The villa itself was clean and spacious with a private pool enjoyed by all the family.Originally posted by an anonymous guest, (United Kingdom, August 2009)"
"We found everyone associated with St. Barts Blue to be very helpful." "Villa is a beautiful spot. St Martin Blue's services were Excellent and everything as promised. Recommend the Rhino Safari rides." "Villa Grande Bleu is excellent and unique. St Martin Blue's services were good as expected. Recommend Le Tastevin restaurant and Antonio's for lobster thermidor." "St Martin Blue Services was very good; responsive"
"St Martin Blue Services was excellent, flexible, provided outstanding service and no improvement required"
"St Martin Blue Service was terrific, villa, car, sailing, restaurant and ferry bookings all handled smoothly and efficiently." "St Martin Blue provided great service, thorough information, and awesome concierge offerings"
"The services offered by St. Martin Blue were great. Mary was wonderful - especially with my many requests. " "St Martin Blue was very helpful and available at any time"
"The villa was lovely, not only no complaints but couldn't ask for more. The only small thing I might say is potentially putting air conditioning in the lounge. It did sometimes get quite hot in there (I understand this would be quite expensive thought). Comments about St Martin Blue: All very good, car rental was easy, the booking team was very helpful before and during the trip." "St Martin Blue service was great"
"Excellent communication and customer service. Can't think of anything St Martin Blue can impove on." "Please know we are happy to recommend St. Martin Blue to our friends and family and very much appreciate your attention to detail and exceptional service." "We just came back from a stay at Villa Mumbai and wanted to give some feedback to anyone interested in renting this villa. This is a beautiful villa, as we'll explain, but just so you know we consider a 5 to be perfect and, accordingly, very hard to achieve. So here's what we thought. Pick up at the airport and delivery to the villa was perfect. Beach chairs and umbrellas we rented were delivered on time and in good condition (although having some at the villa would have been nice we knew going in we needed to rent so no surprise there). The included car which was delivered to the villa was a huge plus. Prompt, efficient, nice car. Just great. We even had to stay a few extra days and the cost for 2 additional days came to $41 dollars. Really can't say enough about that. This is a new, well kept villa on Cupecoy Beach, directly across the street from Porto Cupecoy. It has a terrific view, great pool and pool deck, and a well stocked kitchen. The outside furniture is particularly nice, especially the big hammock/bed. I liked that so much I tried to find an online price to buy one but it appears that the manufacturer has discontinued it. Anyway, the white cushions were clean and nice and there were plenty of pool towels. The availability of the Grand Gourmet across the street in Porto Cupecoy (easy to walk to) was a much bigger plus than we would have thought. Bedrooms are big and nicely furnished. Bathrooms are large, modern and very comfortable. You will not be di"
"St Martin Blue's service was excellent - we felt well prepared and everything went really well with arrangements. " "Everyone was very accommodating and was there to help in every way"
"Just wanted to tell you that our trip was perfect! We really loved the villa. We enjoyed working with you and your company and have already referred your name to a few people "
"St Martin Blue Services was Superb! No complaints." " Everyone at St Martin Blue was wonderful, super helpful." "We had a great experience starting from car reservation, airport pick up, quick and easy communication with the office,Christmas and new year's gifts to airport drop off. " "Loved everything about the villa - could use a few cosmetic touch ups - like a fresh coat of paint. Location was absolutely perfect - easy, 5 minute walk to the beach. Good value for the money! iPod docking station and phones did not work. I'd LOVE to stay at Jardin Creole again. St Martin Blue Services Comments: Pick-up was perfect - our driver was right there when we arrived at the airport. Rental car was waiting for us when we arrived at the villa. Joel, who did our villa orientation, was very nice as well - he gave us a lot of good tips about supermarkets, restaurants, etc. Our housekeeper, Gretta, was AMAZING - so thorough, nice, and gave us great suggestions also. The caretakers that lived underneath the villa were also great and very nice. Kate and Mary from St. Martin Blue were perfect and helped to set up everything prior to the vacation. Mary was helpful throughout our vacation as well - answering emails to help us out while we were there." "Everyone associated with our villa reservation was very helpful and willing to communicate in various modes to help with the whole process. This was our first vist to the Carribean and you helped make if very memorable." "Very nice , well provided with all the necessary things. A veryl ovely houskeeping-lady Marcia St Martin Blue Services Comments: Very good. There was an issue with our bed, they fixed it right away. St Martin Blue Improve: Keep on going the way you are! It's nice that you during the vacation keep in contact with us and asked if everything is okay and if there are things you can do for us." "Always answered my questions. Were very helpful." "Excellent staff, great location, beautiful informal home, well equiped kitchen, privacy is wonderful." "St Martin Blue service was excellent as always." "Arrived back home last night from our stay in Ville Oceane, in St Martin. I just wanted to send a note letting you know what an absolutely wonderful time we had and that the stay was more than I expected. It was a seamless, flawless and thoroughly enjoyable time thanks to you and you organization. This is the first time we have used your company for a vacation and you have exceeded all our expectations. I was slightly hesitant going through your website and booking a place based solely on photos and descriptions, but the website was spot on in its representation of the property. It was not only a pleasure working with you, but having you as my contact, was reassuring and made me feel as though there was someone responsible, capable and responsive to any concerns or needs that I may have had before and more importantly, during our stay. The purpose of this trip was for my wife and I to celebrate our 30th wedding anniversary. Although my wife gave me the credit for such an amazingly wonderful time, I related to her on a number of occasions, that you where the person behind fulfilling all our requests. Please relay our appreciation to the property manager, Exile, our housekeeper, the car rental company, the owners of the property, and to the lovely women who provided our massages. All delivered everything and more and made our time there EXCEPTIONAL. In this day and age, it is a rare occasion that an organization delivers the level of service and attention"
"perfect!!!!!! if i had to nitpick it would have been nice to have a few pool floats and a bit more thorough introduction to the villa. St Martin Blue Services Comments: EXCELLENT!!!!!! professional, accommodating and extremely responsive. Mary was a joy to work with and comforting to know she was there to help in anyway i needed. EXCEPTIONAL EMPLOYEE St Martin Blue Improve: can't think of anything...you guys are amazing"
"Everything was great. The facility, the caretaker, the cleaning lady, the concierge services, cook, masseuses, everything...just great. We had very high expectations but SMB exceeded all of them. It was a great company to work with and I would enthusiastically recommend them to friends." "The service was amazing and from Kate to Mary at the office...and also the service at the villa from Ashly and Barbie." "We were at villa Eden for a whole week. It was the most amazing time for us and our kids.We will be back!!! :)))"
"Very clean, spacious and comfortable. The view is spectacular. Pillows could be more comfortable. Well equipped kitchen. Access to the laundry room makes luggage less big and is very convenient. St Martin Blue Services Comments: The service was perfect with quick response to our mails and we could feel that you were doing your best to accommodate our needs"
"Spectacular, this was the best villa we\'ve stayed in by far, an A+++. The only suggestion I\'d make would be to have more bowls in the kitchen and cable in the bedrooms. Other than that it was perfect. The speakers on the outside in the pool area really set things off. Listening to some good lounge music at night while drinking wine in the pool was amazing St Martin Blue Services Comments: Service was A+++ also, from the airport pickup to the maid service to the car rental drop off. All was wonderful St Martin Blue Improve: Not really sure, everything was so good." "LOVED EVERYTHING ABOUT IT!! St Martin Blue Services Comments: EVERYTHING WENT REALLY, REALLY WELL...VERY SMOOTHE. VERY EASY TO DEAL WITH AND IT ALL HAPPENED OVER THE PHONE OR VIA E-MAIL"
"Absolutely beautiful villa in delightful grounds. We particularly enjoyed the large gazebo and lovely pool and tennis court. The whole layout of the villa was well designed and the area very peaceful. " "Wow! Where do I begin? There were 10 of us celebrating my husband and I 25th anniversary. We all agreed that this was the most amazing, best vacation we have been on. Kudos to your staff Kate! Thanks so much Mary! Kate, I just want to say thank you so much! You never missed a beat! Any questions I had or any changes I wanted to make you were right there making it perfect! It was a perfect vacation for all of us. I would definitely stay again at Villa La Josephine,and would recommend St. Martin blue." "Very clean and nicely decorated. A nice quiet area on the island. Liked the special mosquito repellent mist outside. Would love to stay here again. St Martin Blue Services Comments: Very good services and everyone that we came into contact with was excellent. St Martin Blue Improve: Maybe more excursion options, but overall St. Martin Blue was excellent and I\'m referring you to all of our friends and family." "Villa was fantastic! Very private and perfect for a couple (and the second bedroom was very spacious, even though we weren\'t traveling with anyone). Outdoor area was great as there was plenty of space whether you wanted to be in the sun or in the shade. Outdoor kitchen was also nice and made the whole outdoor area very livable. Outdoor shower in master bath was also fun. Would highly recommend and plan on returning in the future! St Martin Blue Services Comments: I have used St. Martin Blue many times and Kate and her staff have always been very helpful and professional. I will continue to use them in the future." "St Martin Blue Services Comments: Very thorough and informative. Professional St Martin Blue Improve: Wonderful customer service"
"The views were breathtaking. We all just loved it. There was plenty to see and do for those who were new to the island. And just relaxing and enjoying the pool was a large part of it for those of us who have been to the islande beforel For my husband and myself, this is our fift time on the island. Prior visits were either with cruise ship stops or time shares. The villa was a first for all of us. We absolutely loved lifestyle. Our housekeeper, Marsha was friendly and helpful. We appreciated having the extra table for meals. Would still encourage owners to make at least one of the rooms twin beds as everyone is not a couple. We worked it out but a set of twins would have made things a lot easier for your guests. St Martin Blue Services Comments: St Martin Blue was extremely helpful in guiding us through the whole villa leasing experience. As I said was new to all of us. We are very glad we decided to to do it and will not only lease another villa, but will use SMB again as well. Many thanks to Richard, Mary and Kate for all your help. " "Very comfortable - well cared for St Martin Blue Services Comments: Made multiple deposits and arrangements for a variety of activities - much appreciated"
"Very clean, spacious and comfortable. House staff very kind. Fantastic pool and house design. Only negatives (very very minor): (1) There is a pool table, but no billiard balls to play; and (2) suggest a WiFi booster so that Internet access can be had in all bedrooms (Could not access internet from Bedrooms 4 & 5); and (3) suggest instruction guides for using televisions and stereo equipment. While we were able to figure out some on our own, we never did figure out how to turn on the outdoor speakers for music. Nonetheless, I will most definitely look to re-book Bleu Passion for our next trip to Saint Martin. St Martin Blue Services Comments: Excellent. Very friendly and supportive staff." "Mariposa Villa is Absolutely beautiful - with unbelievable views and wonderful sunsets - we loved the pool and the veranda - one of the best vacations we have ever been on. We didn't want to leave our villa - the rooms were spacious and beds were very comfortable. St Martin Blue Services Comments: St. Martin Blue took care of our every need and was very attentive if we needed anything St Martin Blue Improve: We were so impressed with everything. I cannot think of anything to improve upon - maybe just spraying for misquiots before we arrived, however ya'll sent someone out to spray and it was so much better after that." "Soleil Couchant is the perfect spot for relaxation and privacy. The pool is beautiful and just close enough to the beach to catch pleasant breezes. Sitting in the gazebo and watching the sunset was wonderful. St Martin Blue Services Comments: St. Martin Blue was very prompt, thorough and responsive to all the requests I am made during the reservation process. " "I am very pleased to have chosen St. Martin Blue for this trip. Your villa packet is very thorough and professional. Everyone who has been involved with this reservation has been very quick to respond and especially courteous." "It was lovely, very clean, and was exactly what we wanted for our stay. It was a little older and not really updated, but I knew that going in. Otherwise, it was perfect for us. Fantastic view !!! St Martin Blue Services Comments: Great !!! " "Beautiful! All expectations were met, the majority exceeded our expectations. I awarded the Joe award for the pool and the provisioning of the kitchen. The kitchen has everything you could need. The only negative was that the coffee pot did not keep the coffee hot after being made. St Martin Blue Services Comments: Excellent. We will rent from you again without question." "St Martin Blue Services Comments: Exceptional! Dealt mostly with Kate. Had many questions over many months and she responded rapidly every time. Would not hesitate to use St. Martin Blue again and would refer friends to the agency." "you guys have done amazing!!! thank you for all of your dedicated work and making our vacation a true dream!!!" "From our initial booking to the end of our stay...your services were fantastic. Prompt response to any email or phone request. Your group made our vacation extremely stress free. Thank you. St Martin Blue Improve: Just keep up the great level of attention you provide your guests." "Wonderful property, incredible view, updates inside were well done, gas stove would be better, grounds outside could be better maintained, caretaker and housekeeper were friendly and kind. St Martin Blue Services Comments: service was prompt and courteous - very knowledgeable and friendly. would recommend." "This villa was absolutely beautiful. The stunning view of the blue water was so pretty. The villa seemed to be in pretty good shape. It had a nice kitchen, dinning area, pool, family room, and bedrooms. Overall, the villa was a fabulous place to stay... by far the best place my family and I have ever stayed in! The services of Saint Martin Blue were great. I was able to found out information about the villa and places to go around the island. This company worked with my family to help give us the best deal." "I just wanted to let you ladies know how happy we were with the Blue Emerade in St. Martin as well as the Villa West Indies in St. Barts. They were both all that we wanted and more. Our honeymoon could not have been better and I just wanted to let you know how thankful and happy we were with how everything turned out. I have put my pictures up on facebook and have received raved reviews from all my friends asking me all about the trip and asking details about where we stayed. I will proudly reference your company when responding to such questions. Thanks again for such a memorable experience." "The villa was impeccably maintained by the caretakers, John and Claire, who were just lovely to talk to. They were so accommodating and helpful. The villa has a spectacular view of the Simpson Bay Lagoon- it beautiful both during the day and at night. The outdoor spaces are so comfortable. The water pressure in one of the bathrooms was not great but it in no way would make me want to stay anywhere else. We hope to return next year. St Martin Blue Services Comments: We have been coming to St Martin since 1993 and this was our second time using your company. You are extremely efficient-no complaints- from the time of booking,to arrival at the airport, everything is handled professionally." "The jaccuzzi does not heat and the pool is not heated. Because of the wind (being on the peak of the hill) it is too chilly to get in the pool. We were disappointed because we thought there was a hot tub and its just part of the pool. Otherwise, it is very nice! Good location between dutch and french side. St Martin Blue Services Comments: Fantastic. Thanks for your help!" "villa in good condition. Furniture would need upgrade, especially the patio furniture. excellent service. many thanks to Joel for his helpfulness and availability." "When our flight with st barths commuter was canceled, your people helped me to get in touch with the rental people, and to notify the welcome person. A crisis averted. " "Rhonda at St Barts Blue was superb. She was very responsive and answered all of my questions completely." "The villa was magnificent. The view, amenities, location were all fantastic. The salt-water pool was a key reason for our stay there, and it worked out really well. The only small negative was that the villa to the north of us had a pretty clear view of our whole pool/dining area. It was definitely not quite as private as we had hoped, but that did not materially affect our enjoyment of the place. The service we got was great - Kate and the others at SMB were extremely helpful in our villa selection and throughout the whole process. The preparatory materials were helpful as were the concierge services. " "The Villa was absolutely perfect. We took full advantage of everything it had to offer -- the pools, the massage room, the gym, the beach, the media room etc etc. The staff at the Villa were friendly and professional. They went above and beyond our expectations. There is not much you can do to improve perfection. But if there is one thing - I would say the transfer from the airport was the least enjoyable. The driver was friendly, but he was difficult to find upon arrival and the van that transported us was too small for all the people and luggage. " "Overall, excellent. It was exactly what I wanted. I had been advised before I arrived of its 'deficiencies', which didn't bother me at all. There is a wind blowing most of the time; this I knew about from friends who had previously stayed there. More detailed instructions on how to use equipment such as the DVD, outdoor stereo, would be useful. This villa is not for people who are looking for super luxury, but rather for those who want a comfortable, unpretentious house. I'm considering returning next winter for two stays of 10 days each. Claudia, the housekeeper, was very helpful. The gardener and pool people were never bothersome. Joel could have spent more time initially, explaining in greater detail the various workings of the villa, but he answered his cell phone when I needed answers." "Really great property! A lot of thought and care here! Thank you for taking good care of us!" "The villa is beautifully laid out and the view out over the pool towards Anguilla is spectacular. The terraced, tropical garden is lovely. The pool is excellent for swimming or just floating around and the patio beside is perfect for sunning. Loved the pass-through from the kitchen to the outside bar area. St Martin Blue's service was excellent. We blew the lights by plugging in the wrong adaptor and the maintenance people came immediately and fixed it. Blue arranged the rental car, chef service, massages and transport to the airport and all were perfect." "wonderful villa and very nice for 2 people. Only complaint is that villa didn't have beach chairs. Also, introduction to the villa wasnt\' very thorough so we had an unnecessary call because we couldn't figure out the tv system. St Martin Blue Services Comments: great, all questions were answered and were very helpful." "Just want to Say "Thank You" for your great service and help on our Stay at Cliffs of Cupecoy. The penthouse PE11 was unbelievable and Cherise and Gabby were of great help. All went well and we had a great week in St. Maarten.....looking forward to doing the same next Super Bowl weekend and maybe for a longer period of time." "St Martin Blue services was Perfect! They took the time to answer every question." "Villa comments: Amazing! St Martin Blue comments: Excellent service, everything promised was delivered. Restaurant recommendation: Marios Bistro. Activity recommendation: Parasailing in Orient and Regatta race were both excellent." "Beautiful, well-equipped, perfect for our family"
"We just got back and want to tell you that the villa was beautiful! " "Enjoy your stay: Yes we did, only problem we had was getting out rental car which was taken care of. Always a good experience when booking with St Martin Blue"
"Kate, I just wanted to thank you so much for your help with arranging our trip to St. Martin. Not only did the villa exceed our expectations, but everything went more smoothly than I could have ever imagined. Furthermore, Joel from Pierres Caraibes was phenomenal, and Pol, Carla, and Ian at the villa were nothing but gracious and helpful. We will definitely use your company in the future if ever in St. Barths or if we go back to St. Martin. Thanks again,"
"We have stayed at the Cliffs and Villa No Limit prior. We would definately return to Villa Nid D\'Amour above all others so far...the heated pool and hot tub put this villa at top rank of all our stays so far...Have used St Martin Blue several times. Have been extremely helpful and accurate on accommodation details when it comes to booking our trips. " "Le Caprice is the most wonderful property I have ever laid my eyes on...Joel and Wendy at Le Caprice were amazing, as was Luna, the friendly dog. I wouldn't know how to improve you guys (St Martin Blue). The Welcome baskets at both villas were very thoughtful." "It is our first full day back from staying at Nid D'Amour and already we are looking to book! Paula was fantastic and made us feel extremely comfortable and welcome. She is a true asset to your company and overall experience. " "The trip was truly fabulous, and I hope that we get to do it again some day. The villa certainly delivered on all that it promised from the pictures online." "Great property is very good condition....Very impressed with St. Martin Blue. When there was an issue, it was resolved very quickly. I would hightly reccomend St. Martin Blue to any of my friends "
"Kate was phenomenal....kate exceeded our expectations of St Martin Blue. She went above and beyond to help us plan and make our trip as relaxing as possible. " "Beautiful...Keep doing what you are doing...Will definitely come back"
"nice site, great communications via email. We had a wonderful vacation due to the villa arrangements made by st martin blue, thank you!" "We had a great time and really enjoyed the villa. " "Rhonda I have to say you are by far the BEST concierge service I have ever used, and I have used a lot. Thank you so much for everything. " "John and Claire (caretaker and housekeeper) far exceeded our expectations...lovely setting, immaculate, well equipped.... we landed the day after Otto, a 6-day TS and John and Claire had everything in perfect order and kept it that way....would definitely use you again"
"all 4 of us loved the villa... it was kept very clean and we felt very safe there." "The Villa Staff exceeded our expectations. The villa management staff, groundskeeper, housekeeper ensured that all of our needs were met; The villa was always immaculately cleaned (Victory), the pool was serviced every other day...We thoroughly enjoyed our stay and are telling everyone about the visits. The pictures posted on the interenet matched reality and this was very pleasing. The proximity of the villa to the beach was wonderful. We could not ask for more....The team (St Martin Blue) did an EXCELLENT job in coordinating this fantasy trip for my family. Cannot wait to come back....St. Martin Blue always responded to phone calls and emails sent promptly. Since the coordination occurred virtually this aided in building trust between the 2 parties and ensure that no questions went unanswered. Thank you Kate." "The vacation was quite enjoyable, in fact we miss the dogs (some of us anyway)! The villa was superb and the services excellent. The highlight was probably the Chef who prepared some of the best meals that we have experienced. We will certainly contact you the next time that we vacation in St. Martin. I personally appreciate your attention to all of the details! " "It was perfectly relaxing which was exactly what we were looking for...Very well managed and in great condition. St Martin Blue Comments: Great to work with...responsive, helpful. You all made the rental process very easy. " "wonderful view loved the layout"
"We arrived at the villa today and really love it. Our first meal was delivered as scheduled and was delicious!" "We are having a great time. Kayaked to Little Key and Pinel yesterday. Went to Sunset bar to watch the planes, then Cupecoy today. We will probably get some shopping in tomorrow. The villa is wonderful." "The villa met our expectations and we enjoyed our stay. we were able to walk to the beach and restaurants, and the view was spectacular. overall, it was very well maintained...St Martin Blue exceeded our expectations and was a pleasure to work with." "Loved every minute of it. Amazing terrace/pool area, great kitchen, AMAZING shower heads in the main bathrooms, great grill! Maria did an amazing job cleaning and Olivier keeps the property looking amazing. Terrific experience with St. Martin Blue. Pictures are completely accurate of the villa. We didn\\\'t use any of the concierge blue offerings, but the website does a great job of not only offering the villas, but tons of additional st. martin info. Kate and Rob were great to work with. Care free experience and the free car-rental was a huge plus - we explored every day." "Had a wonderful time. The location and private setting of the villa was ideal and it was perfect for a couple." " This was our 7th year in St. Martin and Amber was the best villa we've stayed at. The villa was very nice and the view was beautiful. Everyone at St Martin Blue are very nice to work with"
"Everything was well stocked, towels and linens were great and of fine quality. TVs and music system were all very nice. Kitchen well stocked with cooking utensils and dishes"
"Beautiful and well maintained villa. Very pleasant staff who addressed all of our concerns pre and post trip." "we really liked the villa. Found it to be clean, well stocked, etc." "This was the first time we spent a vacation at a villa instead of a regular resort and I have to say it was probably the best vacation of our lives. I booked this trip (with Kate's wonderful help) with four other couples to surprise and celebrate my husbands 50th birthday. From the moment we arrived we felt completely spoiled and pampered. We thought the villa was exquisite while also being very comfortable and relaxing. We hired the private chef one night for our birthday dinner. It was an amazing and beautiful meal. I loved being able to walk down to our private dock to board our chartered boat to take us island hopping. We enjoyed bonfires on our private beach, sunning around the gorgeous pool, grilling on the veranda and most of all having this private gorgeous piece of paradise to enjoy and share time with our closest friends. I'd recommend the La Salamandre to anyone. You might want to take ear plugs along though, the tree frogs come out at night and like to sing all night long! " "I would like to thank you for the wonderful vacation we had on St Martin in Le Caprice. Rob, I already mentioned this to Kate, thanks for your advice which villa to rent. I did not understand what you meant by rocks when you send the email but was happy we followed your advice for the sandy beach! House was fantastic (although some minor things needed repairing) and staff was nice and professional. Again we had a splendid week with the family for which I thank the both of you. " "Had a great time at our St Martin Villa in May. I am helping a friend plan a trip to the Napa area and did not know if you have a reference or sister company, etc for that area. We were so pleased with the service and accomodations that we received from you but it does not look like you cover that area of the country directly. Thanks so much." "I just want to say that we are very happy with the choice of villa, it's perfect." "Debi and I are back home after another great trip to St. Martin. Please feel free to let the owners know that we enjoyed the Indochine very much. We thought it was beautifully decorated and very comfortable. Everything was clean and in working order (except for the shower control knob), which hasn't always been the case during our three previous stays at the Sapphire Beach. The service was pretty good at the front desk and the bar/restaurant and the cleaning crew was friendly, prompt and thorough. We liked that the Indochine had its own character and personal touches. We used the "library" and left a few books that we brought along and finished on the balcony. I'll be back in touch later this year to arrange for accomodations for St. Martin 2011. Thanks again for all your help on this year's trip. I hope the owners of the Indochine know what a gem they have in you and St. Martin Blue." "Thanks again for all your help. Your company and you have been fantastic and I will def use you again! All the best! " "All was very excellent with our stay and our experience with your company. this past week.....I appreciate all you have done for us and look forward to working with you in the future." "WOW YOU GUYS ARE GOOD! I have NEVER in my life experienced such professional and quick service. You have truly been amazing during this planning. I don't know how I would have done it (in 6 months) without yourself and Sharon at Celestial Weddings. It has been an absolute pleasure! And your services have already been passed along to family (whom are jealous, I might add) of this vacation/wedding!!" "I just wanted to thank you so much for all your help! Both you (Kate) and Rob were AMAZING with all these arrangements, especially in the beginning when we lost an opportunity in the BVI. You have gone far and beyond with answering my silly questions and being on top of everything. Not only are we completely overwhelmed with the villa - you sent chocolate strawberries and Champagne too!!!! THANK YOU! One of my guests mentioned it to me yesterday in the midst of running around getting dressed for the ceremony... so we saved them for tonight! Thank-you again... it was thoughtful of you and Rob! Yummmmmmy.... I'm just finishing the last of the champagne now. Everything has been wonderful. Sharon the wedding planner, the catamaran cruise (awesome day today) and the caterer.... you've made such a great impression that I think a few of my guests will be contacting you regarding their own family vacations! " "Kate is terrific and the service between Molly and kate cannot be beat." "Rob and Kate, thank you for all your help organizing our trip to St. Martin. We had an amazing time and appreciate all your help and time before and during our trip. Needless to say, we will be sending many friends your way." "Thank you for all. Everything was perfect"
"The location of the villa was very convenient to the beach , the accommodations were perfectly comfortable & the staff provided friendly service. The catamaran excursion to Anguilla was exceptional and what they most enjoyed about their trip. Thank you for your outstanding service"
"Thank you so much for helping to set up our trip to St. Martin. The island was beautiful and the villa was absolutely perfect. I appreciate all of your guidance and answering my constant questions." "Great location and great layout for large groups and extended families. The Villa and pool are beautiful and a large piece of land. It's a great home base to see the island. Very quiet and comfortable. Locked gates at several points so we felt very secure. I would highly recommend staying here. Great service from Isle Blue. Attended to all of our needs promptly. "